It is almost certain that the country will go over the so-called fiscal cliff. Should that happens, many of us will experience significant hardship, especially the poor and the unemployed. Interestingly, this so-called fiscal cliff which everyone is going berserk over, is a list of austerity measures that was meticulously prepared and voted on overwhelmingly by the House and Senate. It is what they wanted all along for the American people. Now, either side is trying to save face by pretending that going over the cliff will be unsuitable for America. Whatever happens, my friends, I would like to reassure everyone that God is standing near. He promises that He will never leave us nor forsake us. He is the same yesterday today and forever. Therefore, if He is the God who provided for the children of Israel in the wilderness for forty years, He will provide for us too. 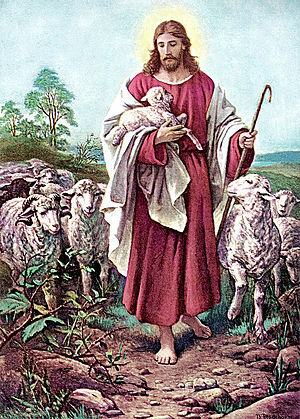 The Lord is my shepherd; I shall not require anything. Your rod and Your staff, they comfort me. Thou prepares a table before me in the presence of my enemies; Thou anoints my head with oil; My cup runs over. Thanks Afi. I hope you have had a truly wonderful Christmas. Happy New Year to you when it comes. God blesses. I am extremely grateful for the kind gesture, J.E. It is truly an honor to receive the “Very Inspiring Blog Award”. God blesses. Not a problem, Noel- You’re welcome! Enjoy the day & God bless!